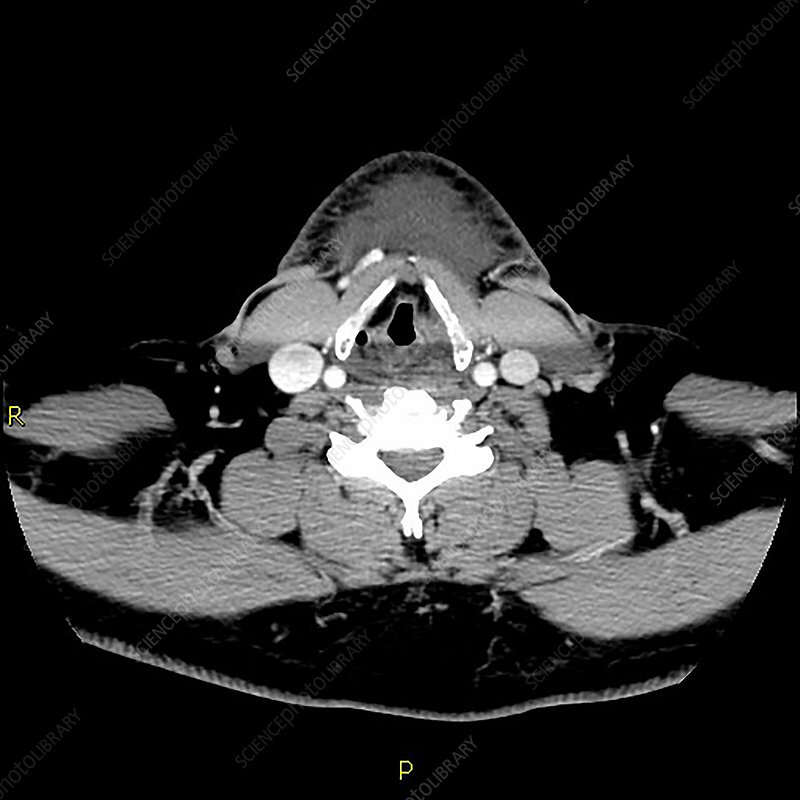 This axial (cross sectional) CT of the neck with contrast shows extensive inflammatory changes in the floor of mouth with loss of fascial planes, edema with small fluid pockets and associated mass effect. This extends to the epiglottis with mild narrowing of the airway. This represents Ludwig's angina which is a severe form of cellulitis/inflammation in the floor of the mouth usually arising from dental infection/dental extraction.